OTTAWA, June 28, 2018 – Undeclared assets hidden in offshore tax havens by wealthy Canadian are less than half of the undeclared income of Canadians participating in the underground economy, according to figures released today by the Canada Revenue Agency. For the first time ever, the CRA has released offshore tax gap statistics, accounting for between $800 million and $3 billion in tax revenue that is lost annually through offshore avoidance schemes. In earlier reports, the CRA cited figures of $4.9 billion in uncollected GST/HST and $8.7 billion in the domestic underground economy. The offshore tax gap represents between 0.6 per cent and 2.2 per cent of personal income tax revenues. The overall tax gap is estimated to be up to $14.6 billion for 2014, when combining the three data sets. A report on the corporate tax gap will be published next year. 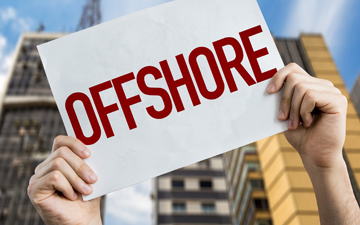 Widely publicized data breaches such as the Panama and Paradise Papers may have led to a change in perception as to the overall efficacy of offshore tax havens. The CRA reports that Canadians are reporting offshore incomes and assets in “record numbers.” Individuals accounted for 78 percent of total filers. The remainder were corporations, trusts or partnerships. However, as reported by Canadian Accountant, the CRA has been accused of “stonewalling” the Parliamentary Budget Officer for years before it anounced in February that it would release tax gap data. Liberal Senator Percy Downe, a frequent critic of the government’s focus on small business taxation in 2017, said in February that, if the data is properly released by the CRA, it would be a “breakthrough” for Canadians in realizing how much tax income is lost for the funding of government initiatives. Today’s offshore tax gap report builds on work already completed by the CRA, including a tax gap estimation in 2016, the tax gap for uncollected GST/HST ($4.9B), and a report on domestic personal income tax compliance ($8.7B lost to the underground economy). As of March 31, 2018, 379 taxpayers have been identified for offshore non-compliance audits based on information the Agency has received through the Offshore Tax Informant Program. The first payment was made in the last fiscal year and the CRA has collected $11.6M in additional federal taxes and penalties through the program. We will have more from the tax gap report in the coming days.